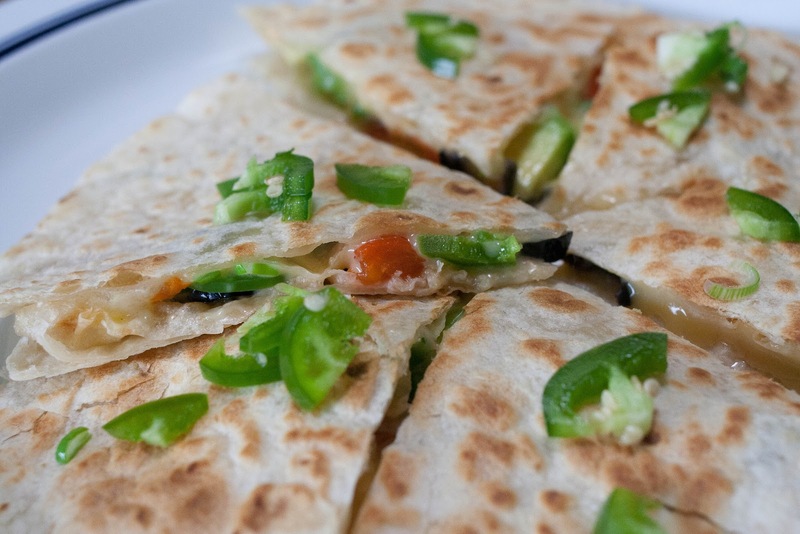 Is there anybody that doesn't like quesadillas? You can make them so many ways, you gotta love 'em! At our house, quesadillas were the perfect after school snack. 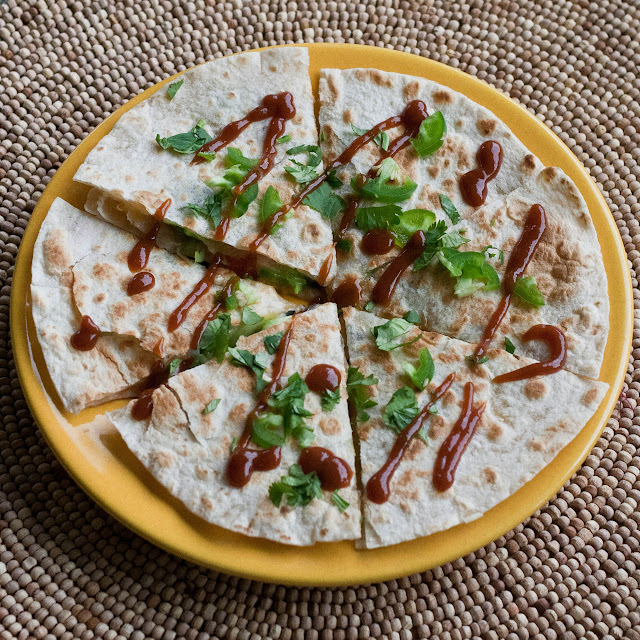 A package of tortillas from Costco would satisfy the hungriest of kids, they're fast to make and you can easily make them to order to satisfy the pickiest of eaters. 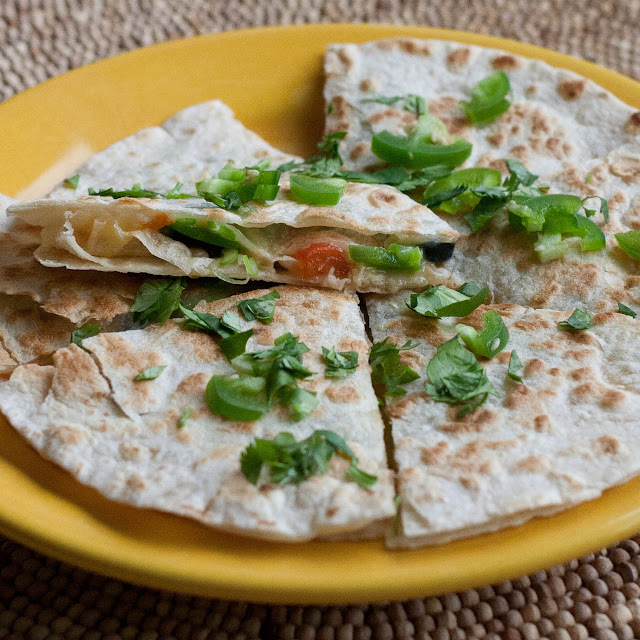 All you really need are some tortillas and cheese. 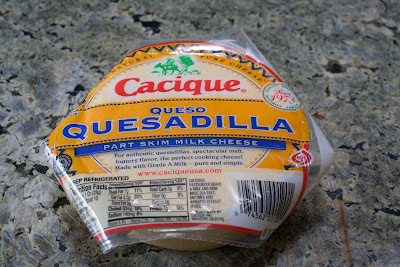 This is the kind of cheese I like the best for quesadillas. It has a nice snap to it when you bite into it. 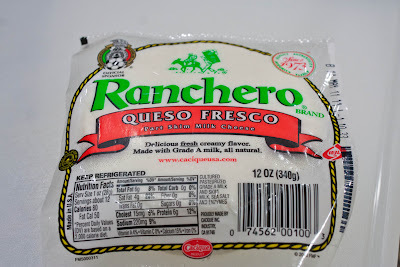 This one is good too, as are the 'Mexican Blend' cheeses. 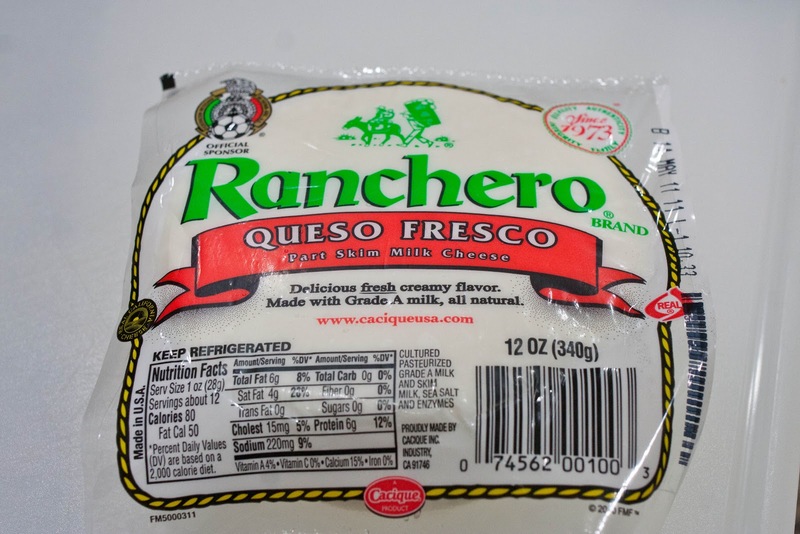 I like the Queso Fresco the best, though. I got this comal from my friend Sue. It's a caste iron flat griddle made to cook tortillas. I don't use any butter or oil for my quesadillas. 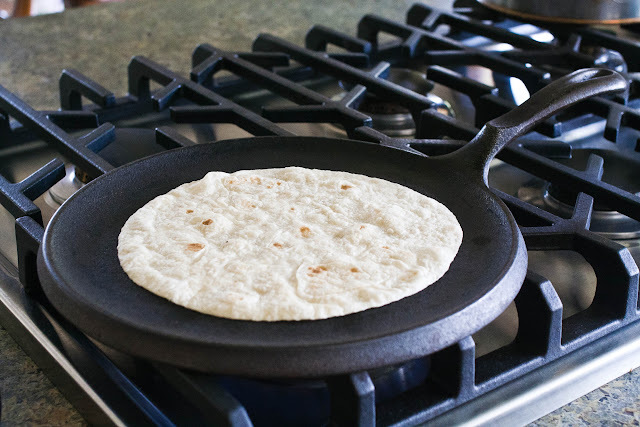 You can get a nice crunch on the outside of the tortillas on a comal, without the added fat. I think there's enough fat in the cheese. Heat two tortillas over medium heat until they're hot and bubbly. Turn the heat to low. 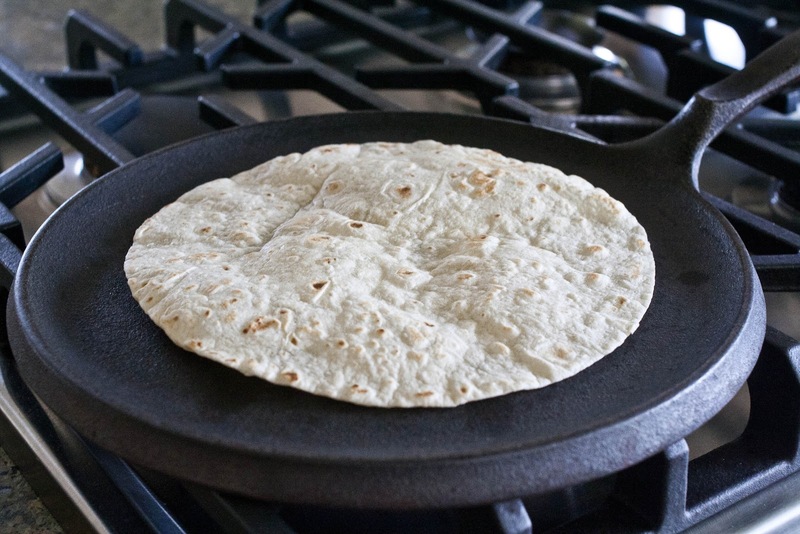 The comal will retain the heat. Add the cheese, then whatever else you have that you like. 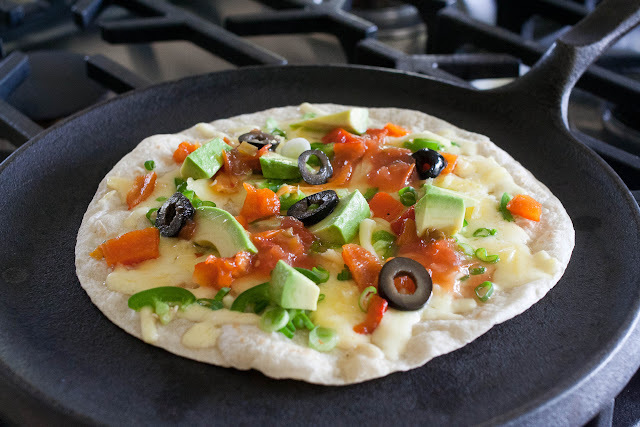 Today I'm making them with some roasted red peppers, jalapenos, avocado, green onions, and sliced olives. 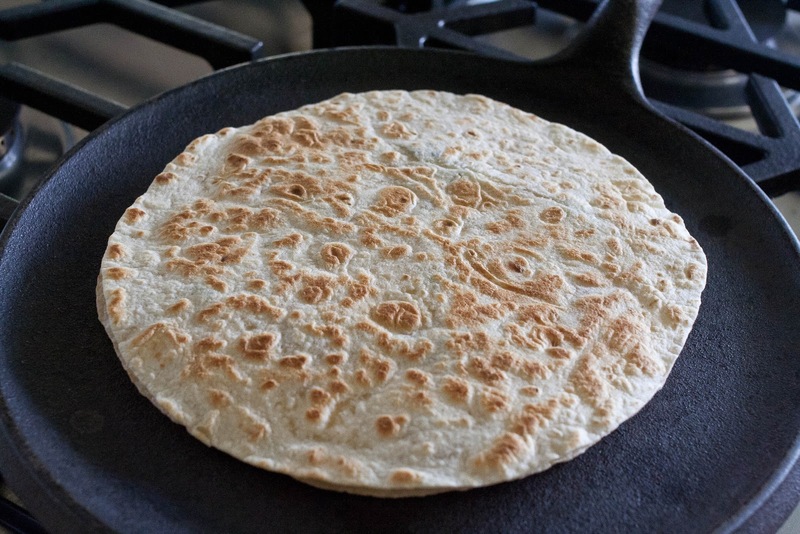 Put the other tortilla that you warmed up on top, and flip it over. I love the crunch on the tortillas when they're browned like this. Slice it up and you're ready to go. After you've sprinkled it with a few more jalapenos, of course. They're also really good drizzled with some barbecue sauce. 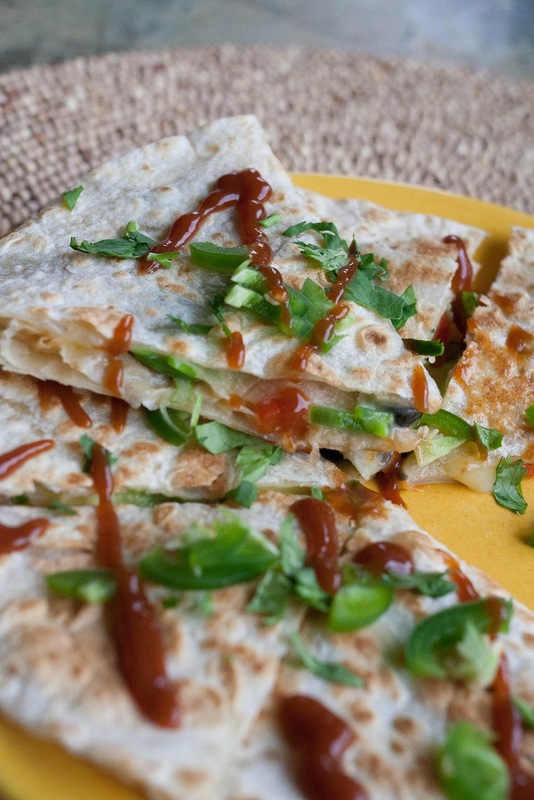 Add a little left over chicken--barbecued chicken quesadillas. You can add some carne asada, fish, rice & beans, kimchi or other pickled vegetables like Japanese tsukemomo, too. It tastes the best when you put your favorite things inside. She made the German Chocolate Cake. I met Sue when her sons Bobby & Bryan played soccer with my son Rick, but the Fujimotos and the Godinezes go way back. Our husbands and their brothers grew up together. 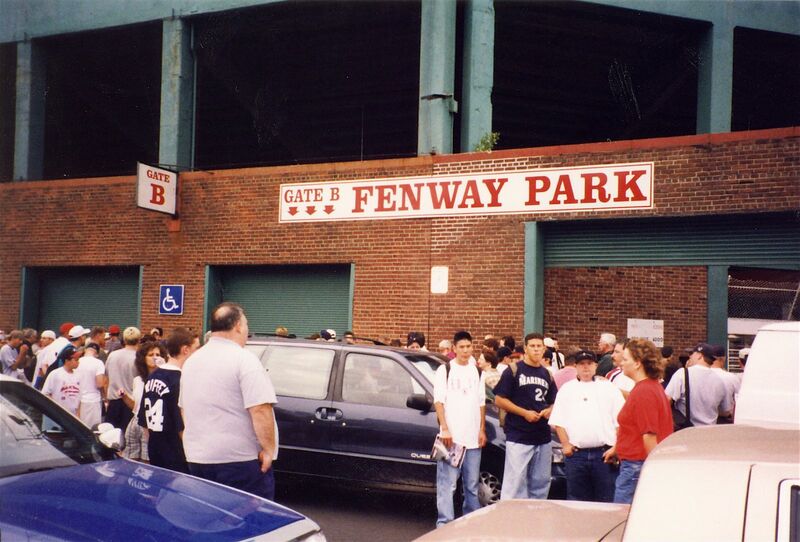 Rick is front row, third from the left, and Bobby is first on the right. 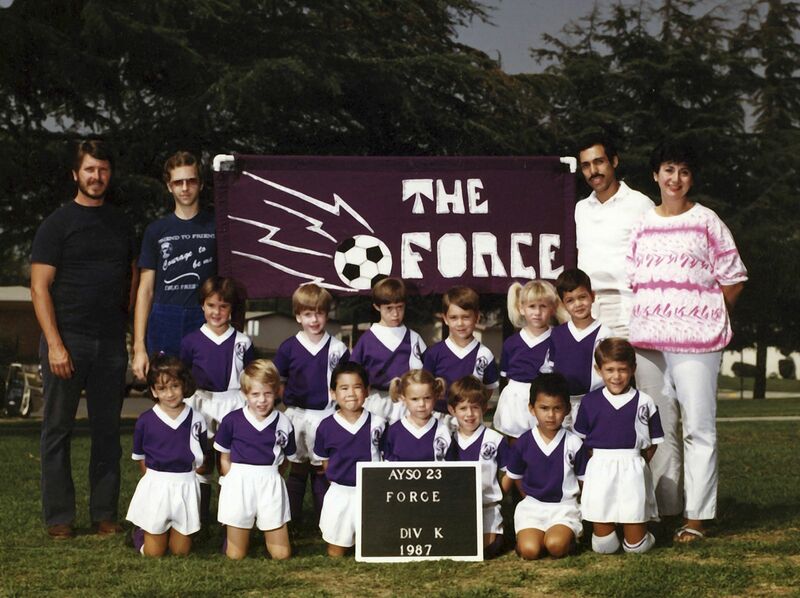 Bryan is in the back row right in front of the soccer ball. They were so little then. Rick and Bobby sold sports cards at Bobby's dad's yard sales when they were in junior high. 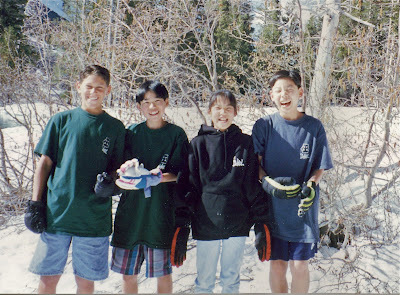 There's my two, along with Bobby and Keith in Mammoth Lakes. Rick and Bobby love baseball and have traveled to many ballparks together. Now Bobby is married to Jen, and they have a new little one, Payton! This one is so precious! 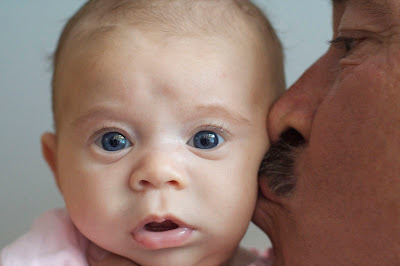 It's really special when your kids' friends have babies. 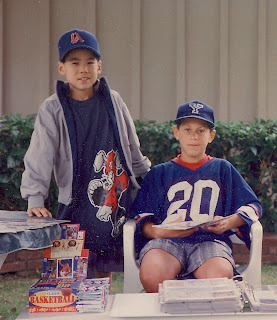 I feel so blessed to have been there to be a part of my children's friends' lives. Now they're getting married and having babies. We had dinner last night with Payton and her family. I got to rock her to sleep while Jen ate her dinner. Bobby & Jen are visiting from North Carolina, where Bobby is coaching football at Gardner-Webb University, so we won't see her as often, but we'll all be there for her while she's growing up, just like we were there for Bobby. 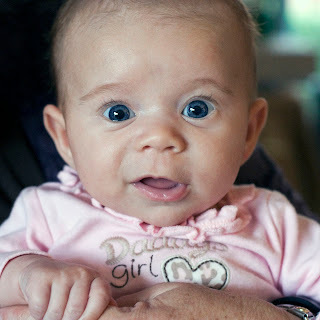 Baby Payton is so cute, those blue eyes! Congratulations to the parents and grandparents. 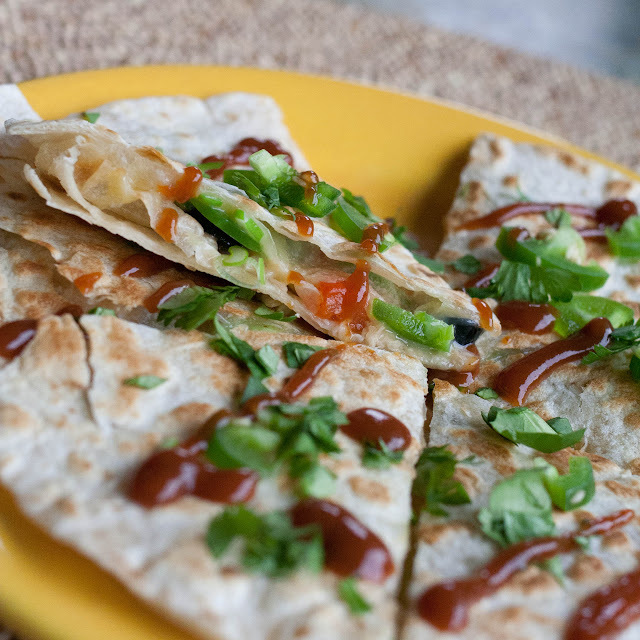 Oh, the quesadilla looks delicious, so much better than the tuna sandwich I had for lunch, so much better than the salad I had for dinner. 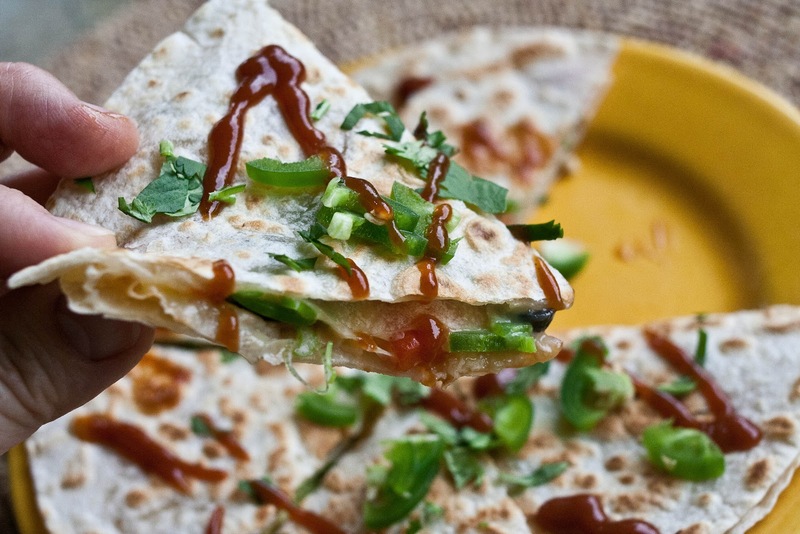 I've never thought to drizzle bbq sauce on my quesadillas, think I'll try that the next time.